This week’s post is covering the most popular questions of the last week starting with the current hot topic of nanny pensions. Small employers (including nanny employers) are now starting to be required to provide their employees with a pension. This is being rolled out slowly and every employer has a Staging Date which is the date from which the pension needs to be provided. This date may still be many months or even over a year in the future so may not be affecting existing clients immediately. If you are a new employer (who’s employee has not yet started) the date from which you will need to provide your nanny with a pension is no earlier than 1st November 2017. Pension contributions initially start at 1% employee and 1% employer giving a total of 2% into the pension pot, increasing from April 2018. These can be percentages of the nanny’s qualifying earnings, which is not the entire gross amount. For example, if you pay your nanny £300.00 net per week your employer contribution is just £2.41 per week until April 2018. Not as much as many employers worry it will be. We will contact all our clients near to their Staging Date with further information specific to their situation and detailing how we can support them through Auto Enrolment. For employees aged 25 and over the new National Living Wage of £7.20 per hour gross starts from April this year. If your nanny is currently paid less than this amount (please remember this is a gross not net figure) then you will need increase their pay from April. The National Minimum Wage will continue to apply to those aged under 25. 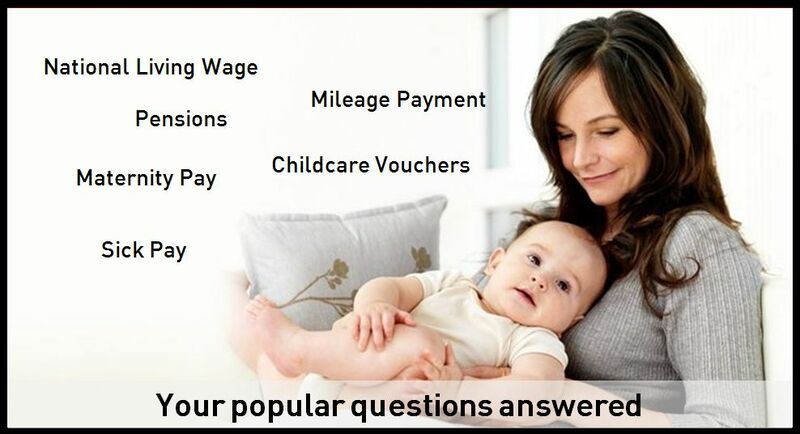 Childcare Vouchers – Are They Worth It? We always recommend Childcare Vouchers to our clients as they tend to be one of the very few tax breaks available to a nanny employer. We are often asked if they are worth the hassle as it can be a bit of a process for your nanny to become Ofsted registered. The answer really comes down to how valuable your time is. As a minimum you will be able to save no less than £600.00 per parent per year by using Childcare Vouchers regardless of your income. Your nanny will incur costs of approximately £250.00 per annum to maintain her Ofsted registration. The vouchers can be used towards your nanny’s salary as long as they are registered with Ofsted. Childcare Vouchers are a salary sacrifice scheme provided by some employers and are paid directly to your nanny by your voucher provider, thus make up part of your nanny’s net pay. Example: Salary £1700 net per month. £243 via voucher. Remainder of £1457 paid directly by yourself to the nanny. Maternity Leave – How Much Is That Going To Cost Me? Statutory Maternity Pay is often an area of worry and concern for parents as it is often incorrectly assumed that they will incur large costs should their nanny become pregnant and go on Maternity Leave. As a small employer HMRC funds SMP and we apply for them to send this as a bulk refund to you at the start of your nanny’s maternity leave. To qualify your nanny will need to have started work for you at least 41 weeks before her expected week of confinement, still be in your employment 15 weeks before her baby is due and be earning over the lower earnings limit, currently £112.00 per week gross. You will incur the cost of a temporary nanny or alternative childcare and whilst your nanny is on maternity leave she will accrue holiday entitlement. Sick Pay – How Much Is It And Who Pays? The first three consecutive working days of sickness are unpaid unless you have agreed something different with your nanny. Statutory Sick Pay then starts from the 4th consecutive working day of illness. Qualifying days have to be the nanny’s usual working days. If your nanny works Monday, Wednesday and Friday and she were sick Tuesday to Friday, then they would not qualify for SSP as there are only two qualifying days in that period. The current rate for SSP is £88.45 gross per week which is fully funded by the employer. Mileage Payments – Message Boards Say I Have To Pay 45p. Is That Right? No. You can pay your nanny ‘up to’ 45p per mile but any higher than this and it is no longer considered an expense. Even this is only for a limited number of miles as 45p is not comparable to the actual cost of providing a car for business use. The most common rate is around 30p but we have a calculator which you can download from the client login section of the NannyPaye website to help you get to an informed and correct figure. If your nanny is paid less than 45p then they can claim tax relief on the difference between the amount that you pay them and 45p per mile. For example, if they complete 3000 work miles a year and you pay 30p per mile, they can claim the tax (20%) of 3000 x 15p, which is £90. To claim this amount your nanny needs to complete a form P87 following the end of each tax year and submit this to HMRC directly.